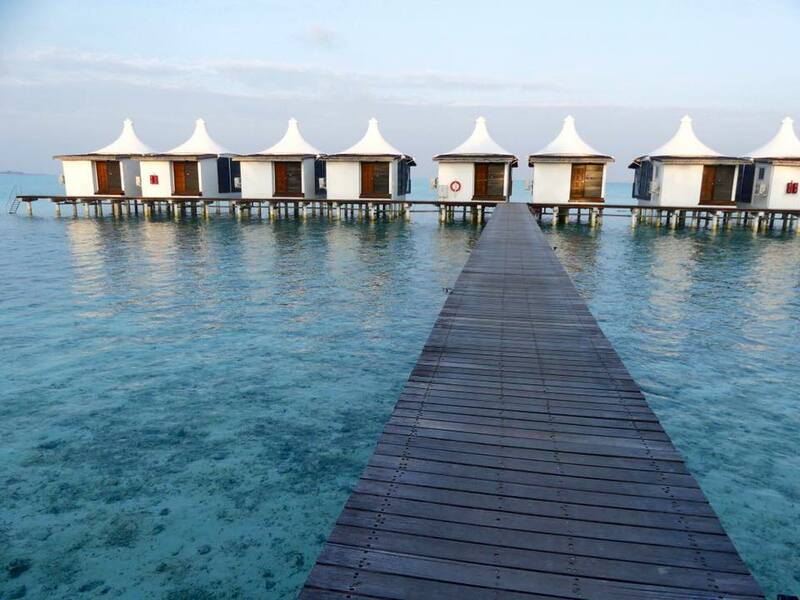 The pictures say it all – it’s beyond stunning. 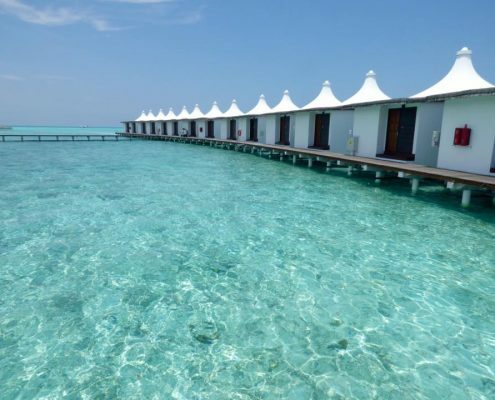 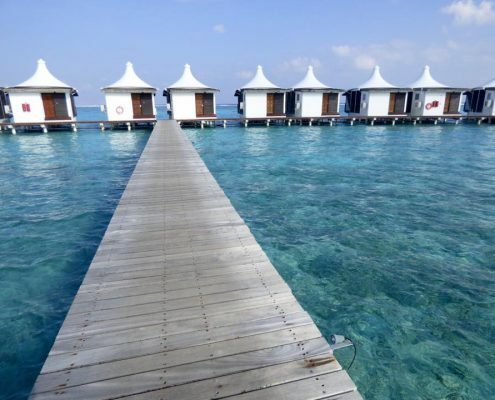 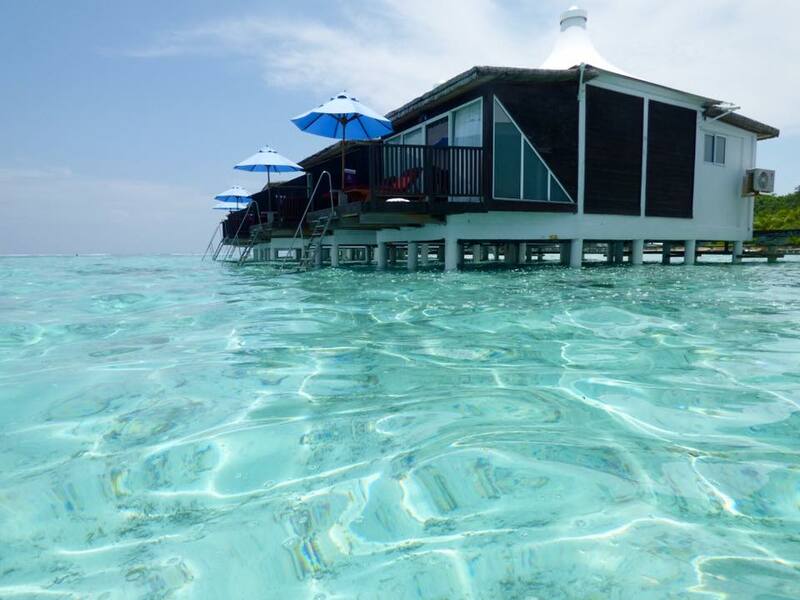 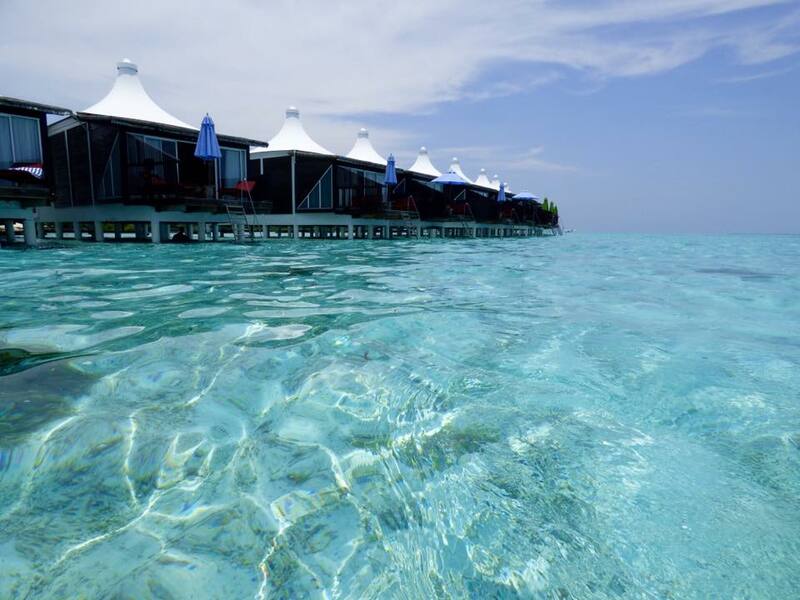 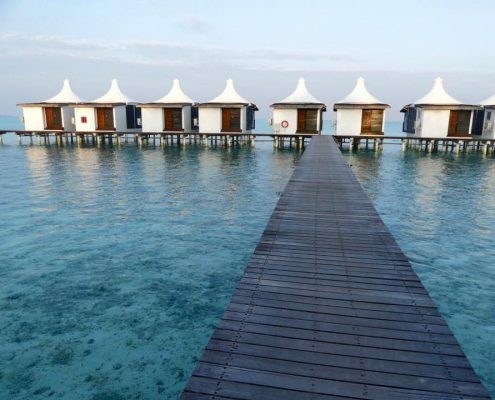 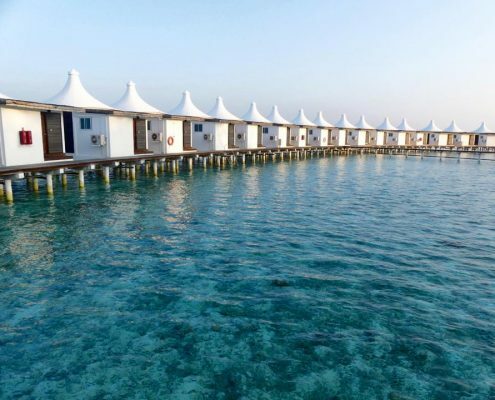 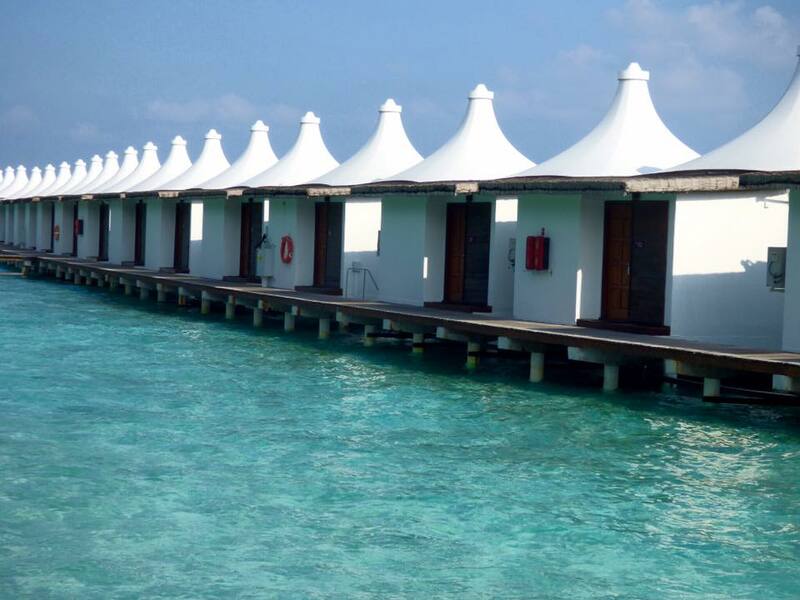 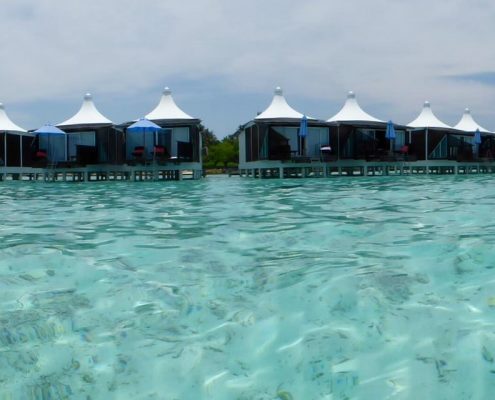 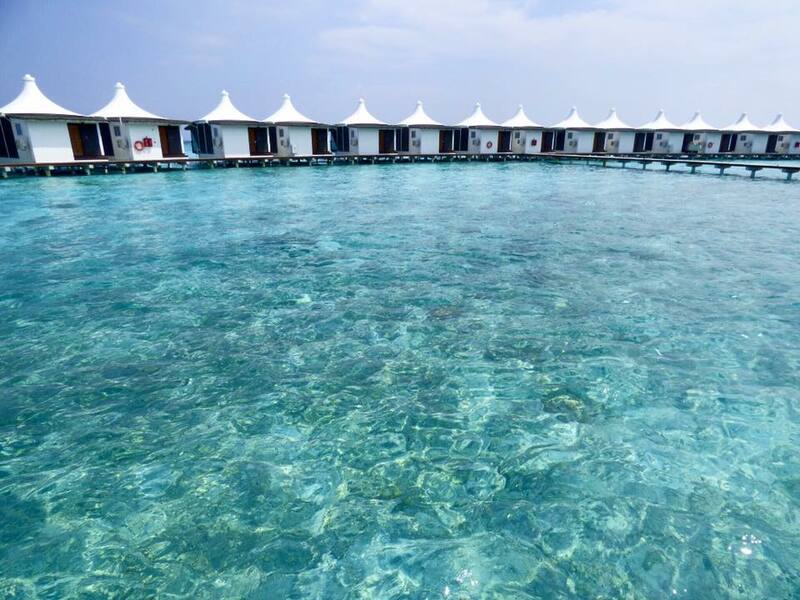 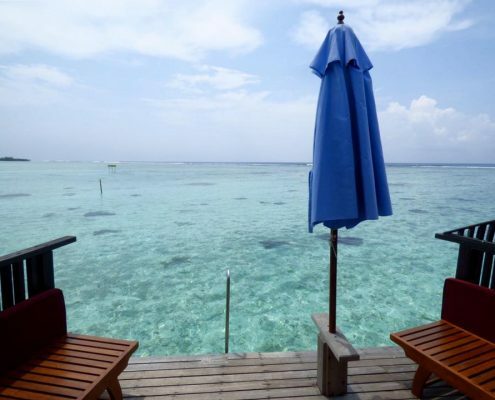 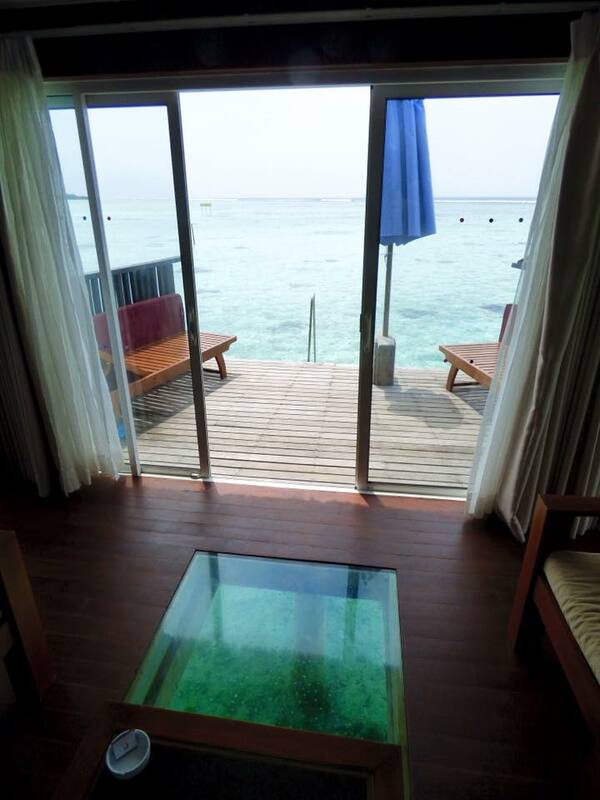 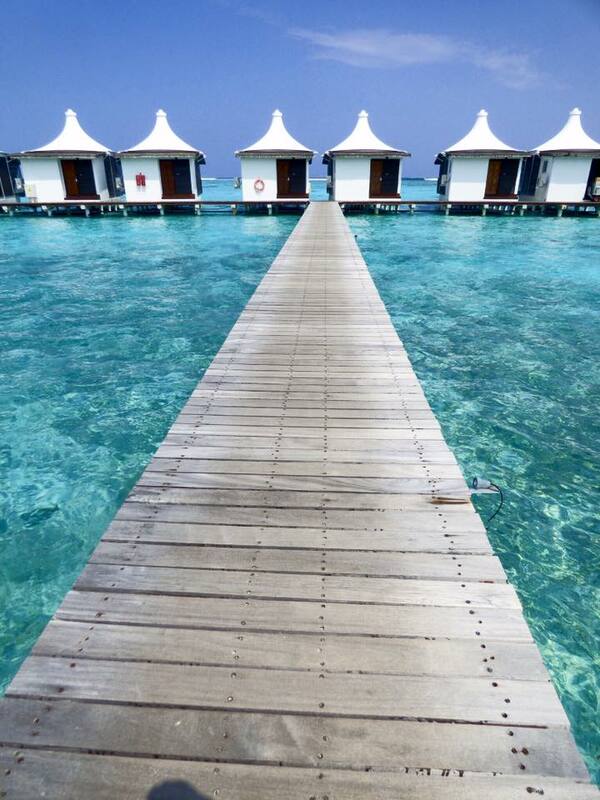 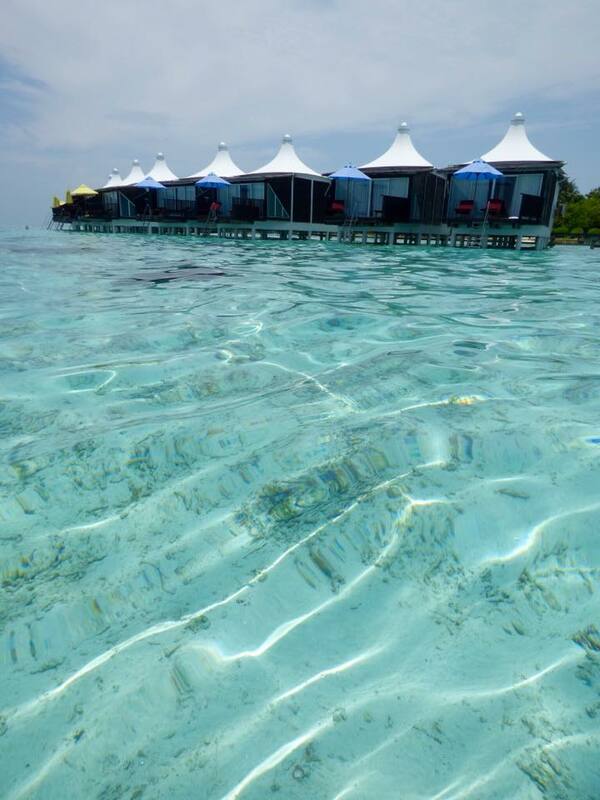 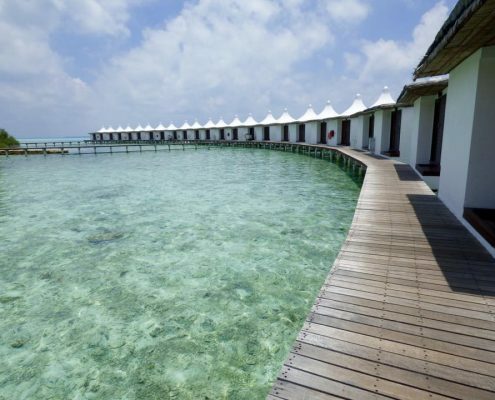 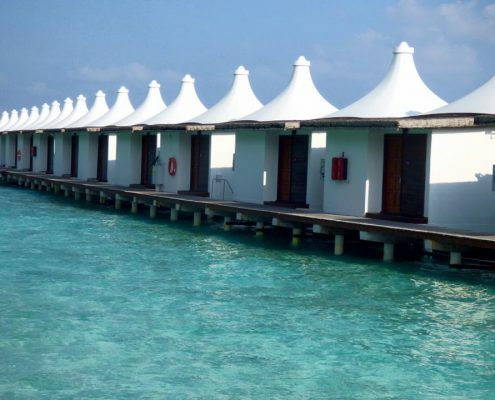 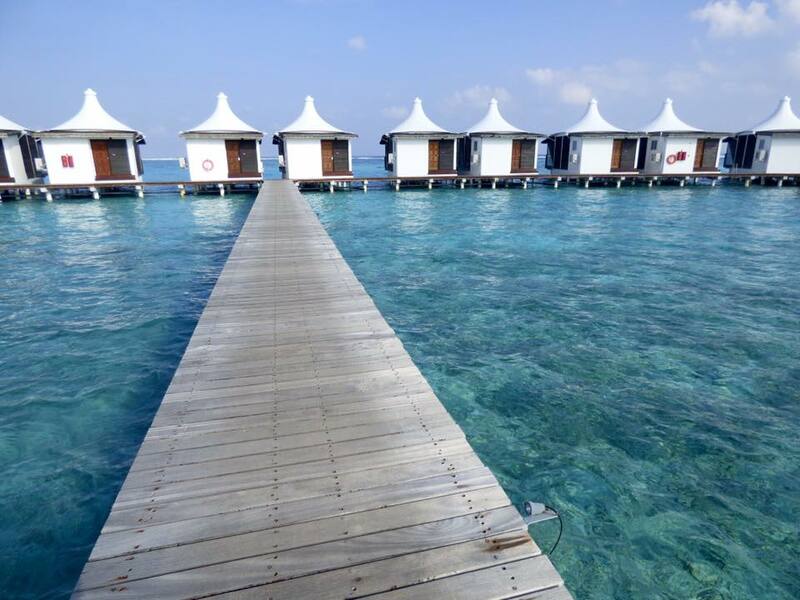 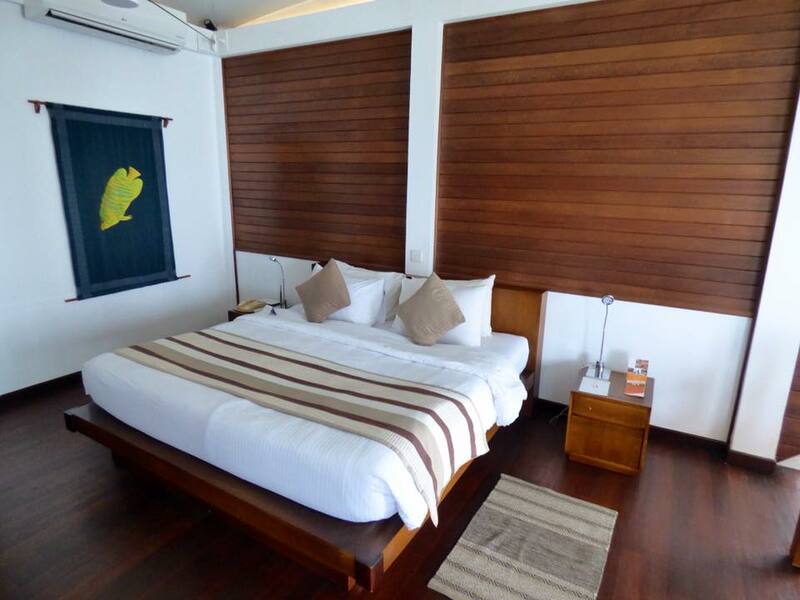 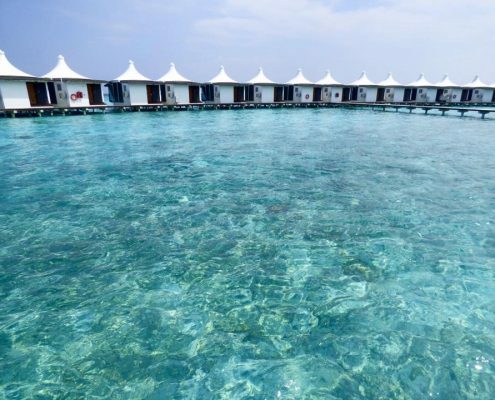 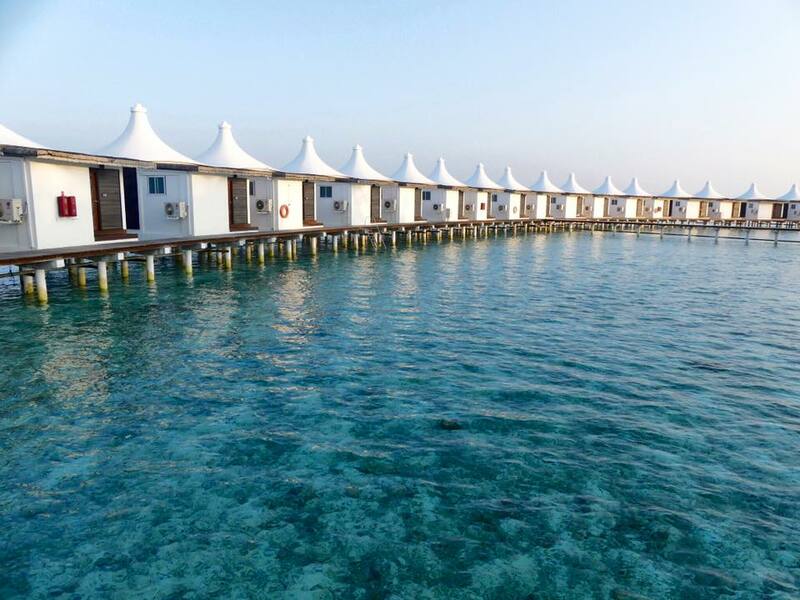 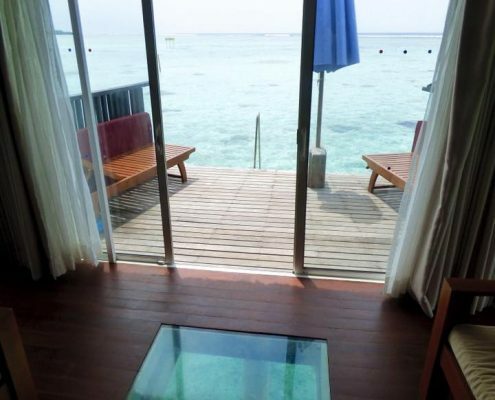 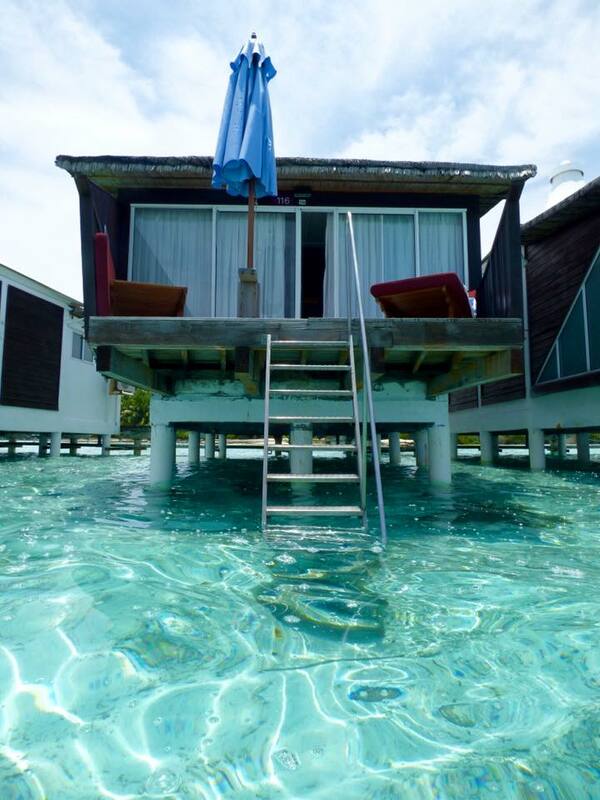 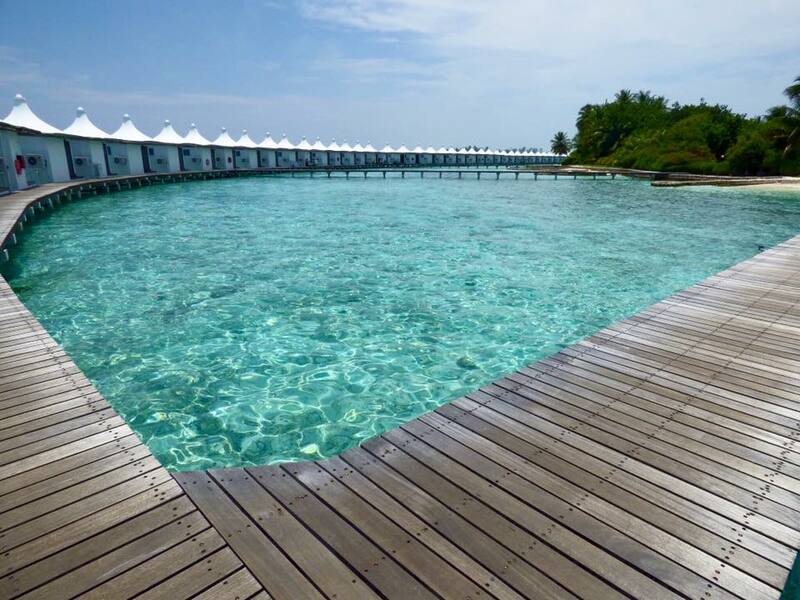 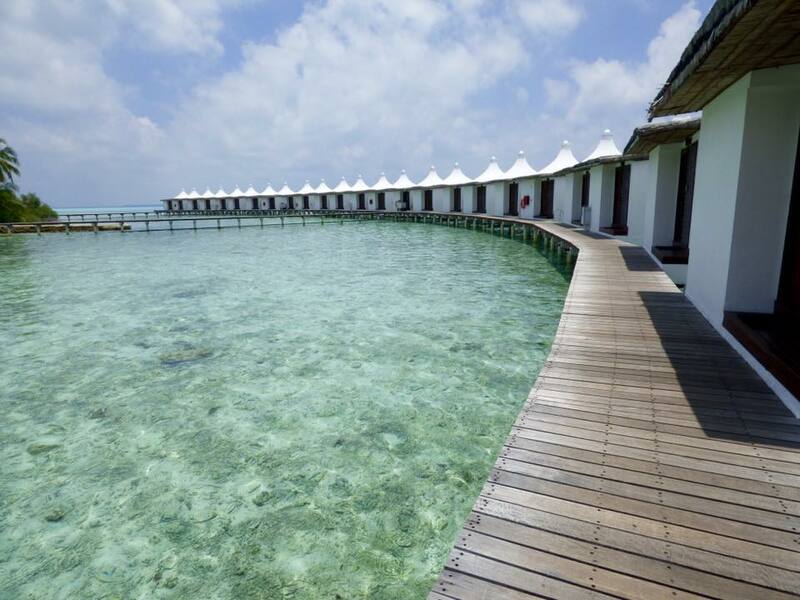 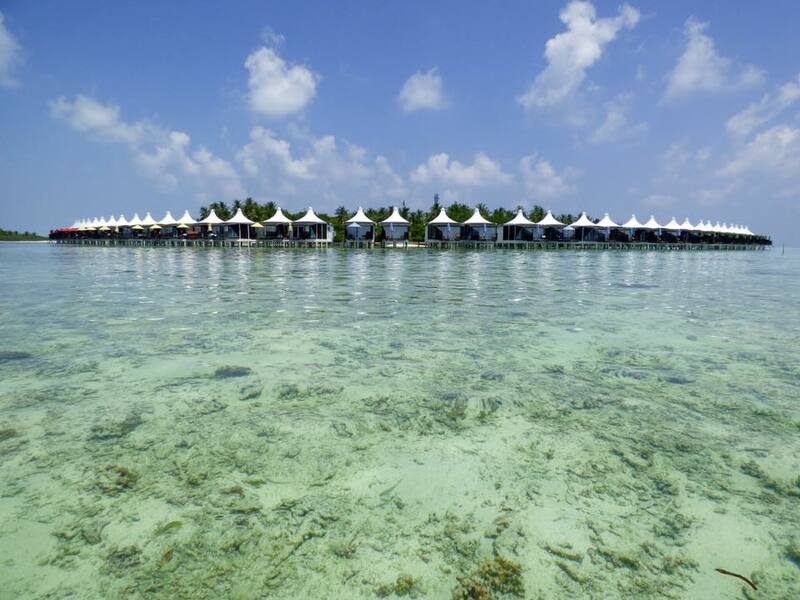 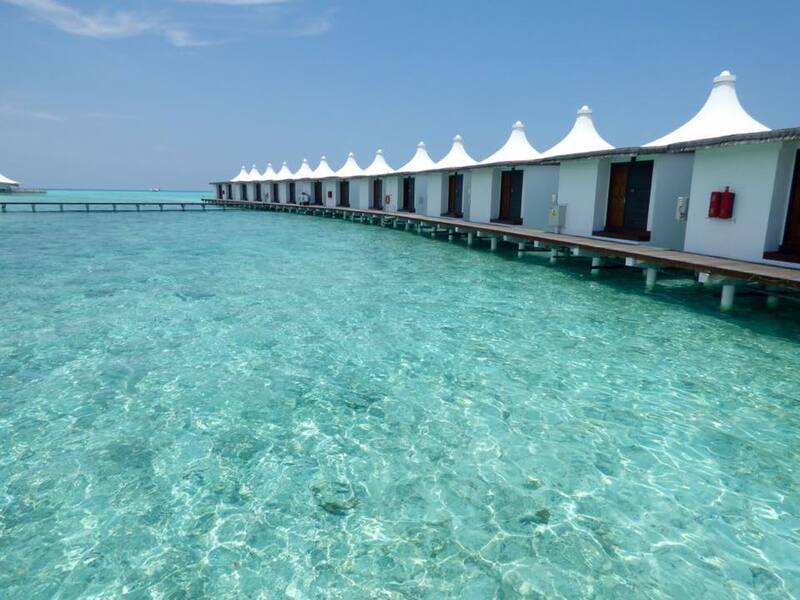 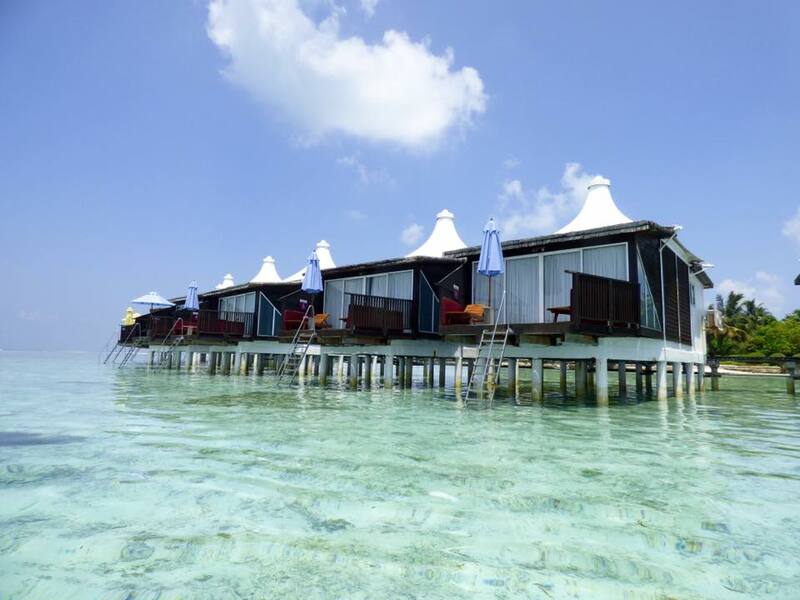 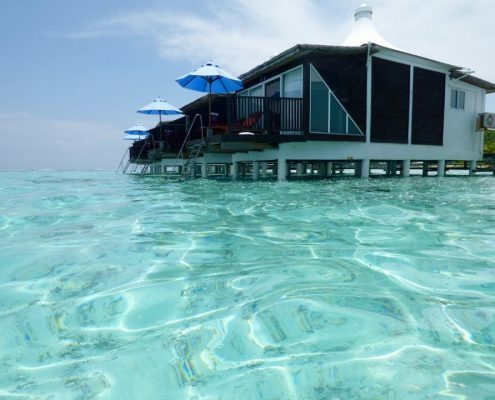 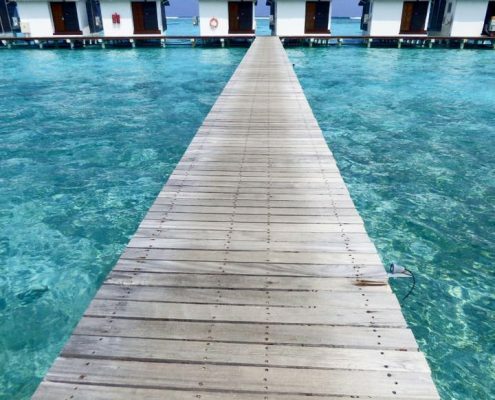 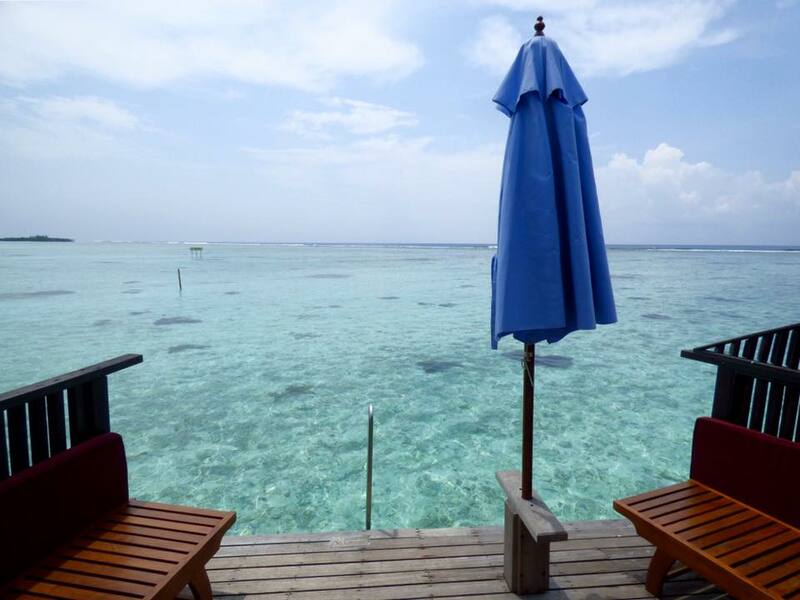 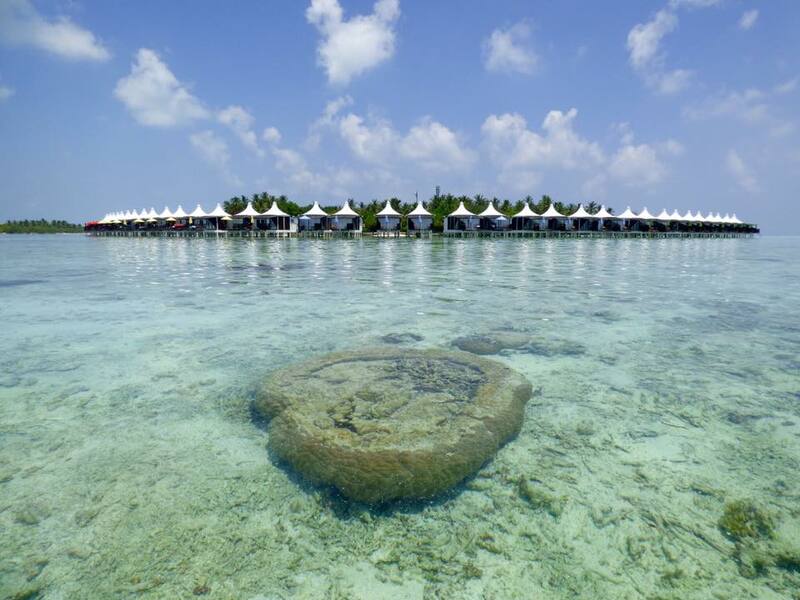 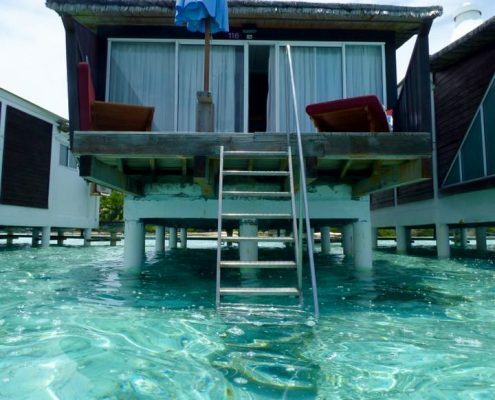 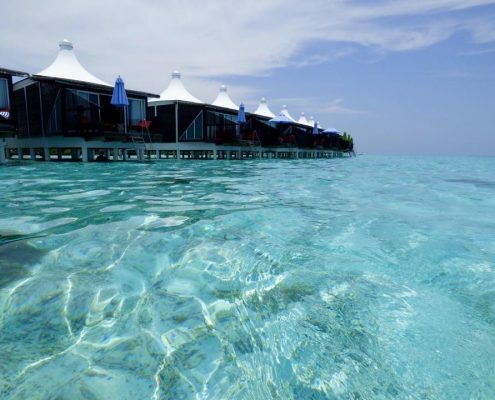 The bungalows form a crescent completely over the crystal clear lagoon waters. 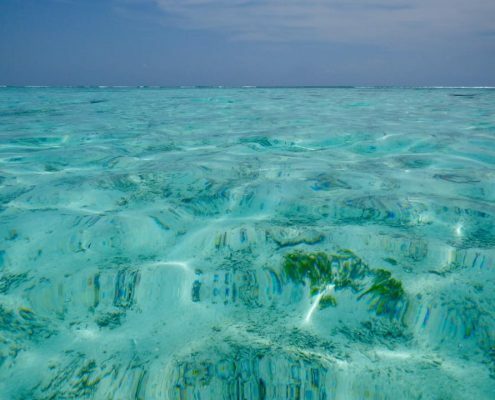 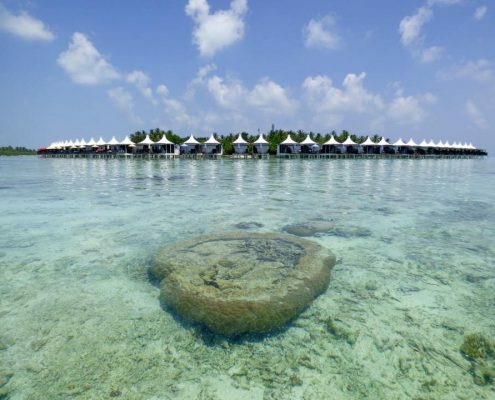 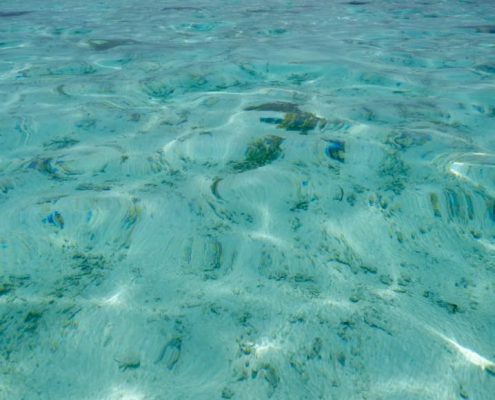 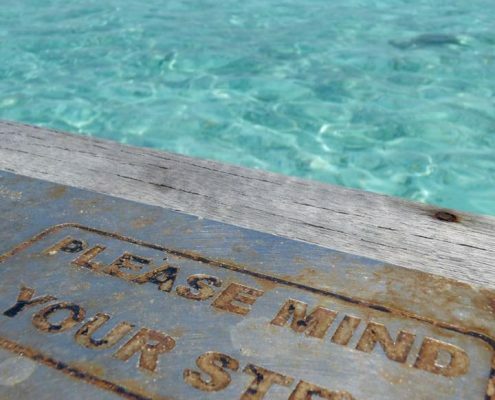 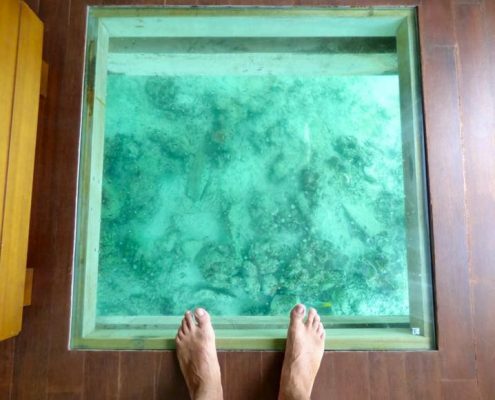 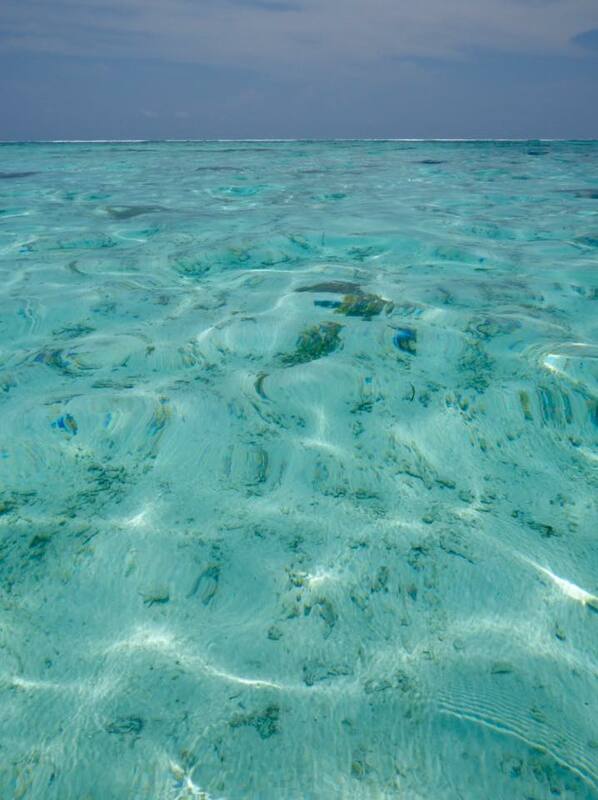 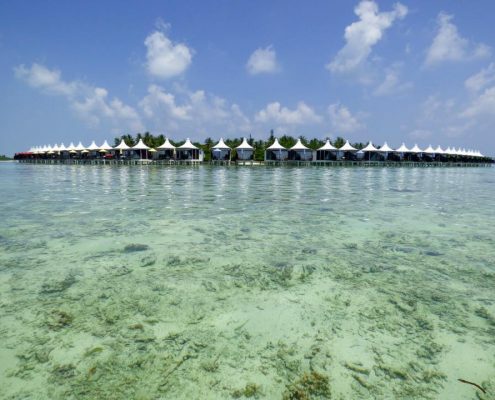 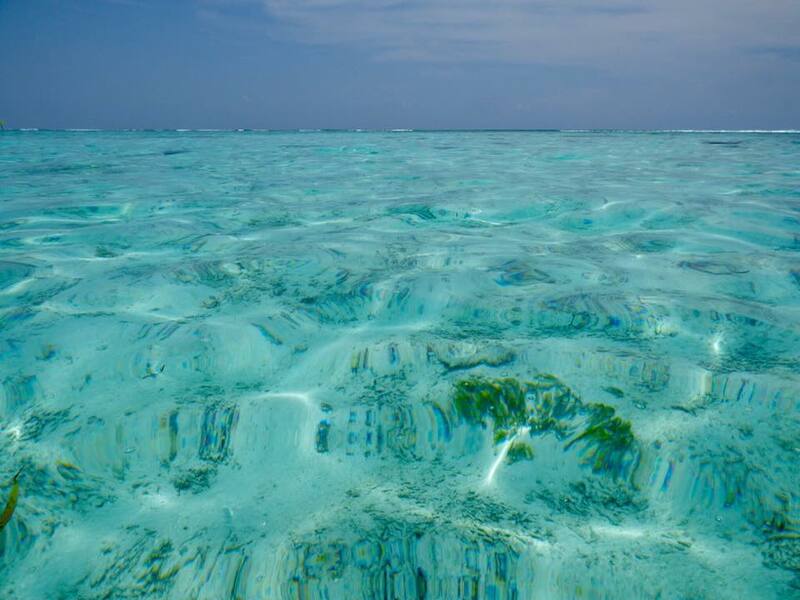 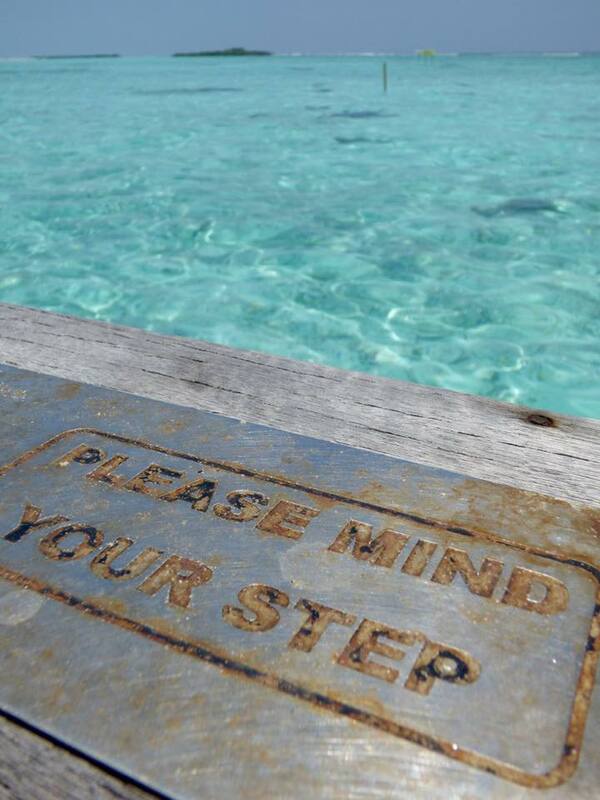 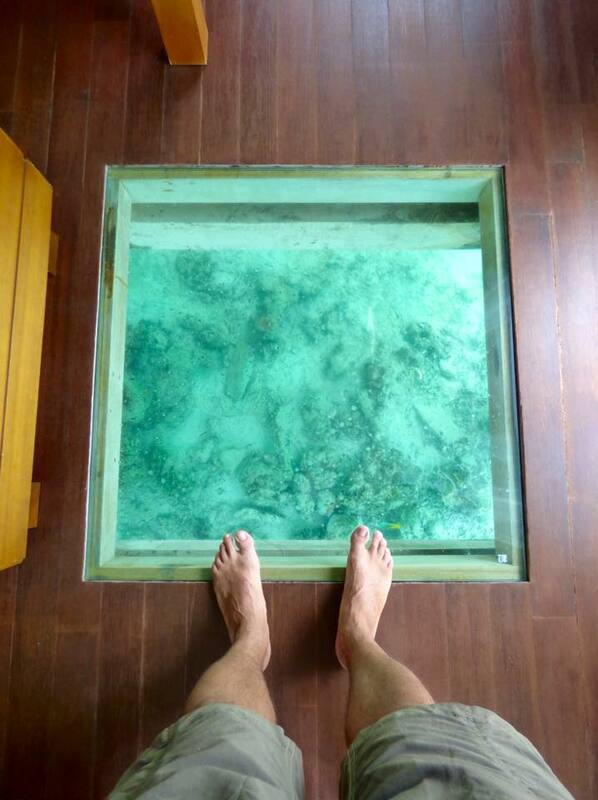 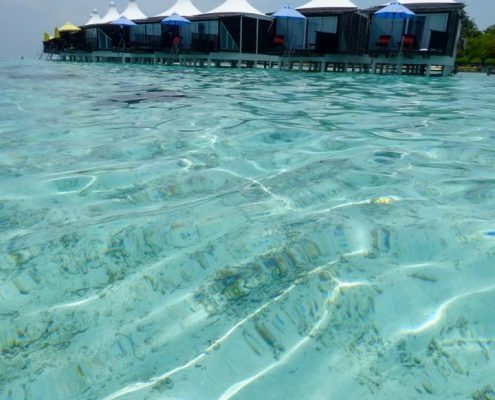 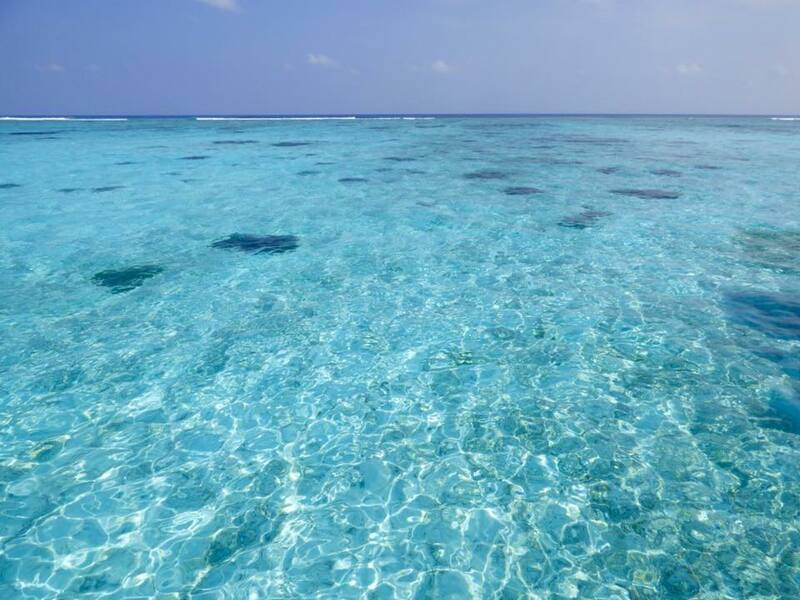 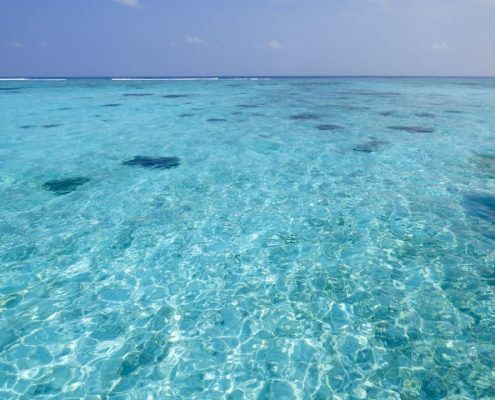 The reef is about 600 meters out and daily tides fluctuated between 1m/3ft to 2m/6ft of water in the lagoon.